Many children and grown-ups love this song, penned by William Batchelder Bradbury. We sing it, teach children the corresponding hand motions, and we encourage children to love Jesus back. But children do not fully understand the concept of love. It is difficult to explain abstract concepts, so we use concrete terms and descriptions. According to Jesus himself, we show love for Jesus (and show others that we love Jesus) when we follow his commandments. Jesus says this three times in John 14. So, how do we follow Jesus’s commandments? How do we show love for Jesus? I gave this analogy today as a Chapel speaker for Elementary students at Cypress Christian School. Hot Potato: I took out the Hot Potato (which happens to play music while it’s being passed) and gently passed the Hot Potato back and forth with a little girl. When she began to toss it, I reminded her that we were only to pass it (not throw it) back and forth. There were other items included in the game, but I had no directions, so we left those items out. The student and I passed the Hot Potato back and forth until the alarm sounded, and I won (since I was not holding it)! Bananagrams: As I removed the Scrabble-like letters from the banana-shaped bag, I began to stack them. I asked the students if I should make the highest tower of letters possible. They screamed, “No!” and I asked a student how to play. She thought that the goal was for the player to spell his/her name with the letters. We had no instructions, so I asked the children what we should do. Beat the Parents: I held up the game and said, “We could play Beat the Parents!” (Imagine cheers from the students.) I pulled out what appeared to be directions. This flimsy paper had a diagram of how to manipulate a Transformer, which had been placed in the game box accidentally. I held it up and asked the children if the diagram could help me learn how to play the game. Of course, they answered a resounding “No!” I clearly had the wrong directions. The children helped me come up with a few solutions to find out the directions of the game. How can we find the directions that we need to play these games? The students gave the following answers, and I helped them connect the answers they gave with how we can learn to follow Jesus’s commandments (directions) and show love for him. Read the Directions: It’s important that we have the right directions. Remember the Transformer diagram in the Beat the Parents game? Some follow the wrong directions for the game. They may follow their own rules or those of others. We can learn Jesus’s commandments if we read (and/or listen to) what he taught. The Gospels (Matthew, Mark, Luke, and John) contain Jesus’s instructions, commandments, teachings, and stories that describe what he said and did. Ask Someone For Help: When we ask for help from someone unfamiliar with the game (as the little girl who told me to spell names with the letters), we will not be successful in following Jesus’s commandments. Instead, receive help from someone who has played the game before. Have that person can explain the game to you and show you how to play. In a similar way, we can ask those who love Jesus how to follow his commandments. Join the Game Group: What better way to learn how to play a game than to join a group that plays it often! In a similar way, we can go to church and/or attend a Bible study, Discipleship Group, or other group setting to learn how to follow Jesus’s commandments. Google it: Use technology. Bible applications can be used for us to learn about Jesus. We can research what Jesus said or even read (or listen to) the words that Jesus said directly from the app. You have heard the phrase actions speak louder than words. We show love for family members, friends, and spouses when our actions display that love. Consider your love for Jesus. Do you know his commandments? Do you follow his commandments? Do you love Jesus? Today is the day to say. 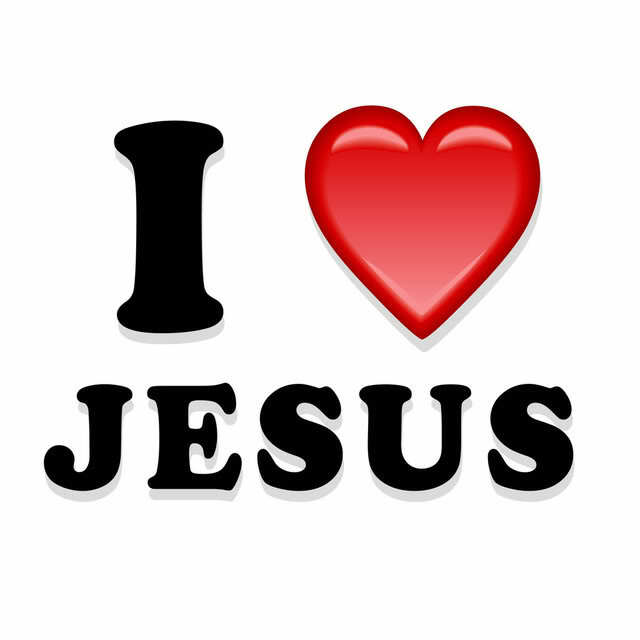 Yes, I love Jesus. Show him your love by following his commandments.